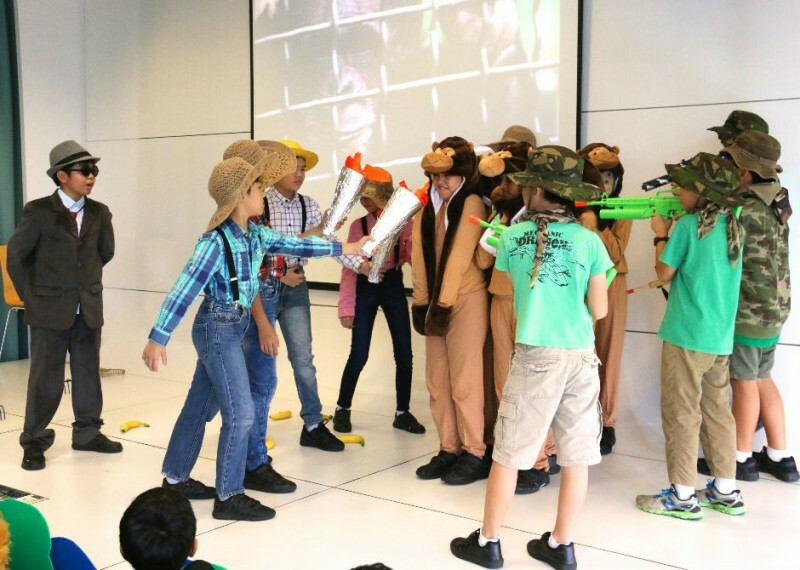 Performing for a public audience at Bishan Public Library and Toa Payoh Atrium was a proud moment for students of Kuo Chuan Presbyterian Primary School. After finding out more about the dangers of dengue, the students wrote their own script and performed it to increase awareness of the issue. “I had the opportunity to perform for others and tell the public about the 5-step mozzie wipeoutwhich helps prevent the breeding of Aedes mosquitoes. My family also came to watch my performance,” shared Tan Hui Yan, 10. Her family members have also observed improvements in her ability to communicate with others. Such experiences were a result of the school’s Applied Learning Programme, which they have coined “Engage, Excite, and Express (E-Cube)”. Through scriptwriting and acting, students addressed issues such as water resource matters, animal conservation, threats of communicable diseases, littering and food wastage. “We want them to understand social concerns and come up with ways to create awareness. In doing so, we teach them to be concerned citizens and contributing members of the community,” said Miss Suhana Binte Abdul Hamid, Level Head for English at Kuo Chuan Presbyterian Primary. “I’ve learned to help the earth by playing my part, being appreciative of the resources that Singapore has and not wasting them,” shared Lim Chong See Vera, 12, on the topic of water conservation. Working in groups also presented opportunities for students to learn important skills, such as teamwork and self-discipline. During the research phase, students looked at various sources for information to understand the issue and decide on their message. “I learned to build relationships with my friends and work in teams without quarrelling,” said Han Cheng Xun Calen, 12. When scripting and rehearsing, they also learned to pay attention to what their friends were saying, as well as to the music and visual cues so that the performance could be delivered smoothly. During the preparation process, teachers also observed how strong parental involvement helped to motivate the students. For example, during the school holidays, parents would guide their children as they conducted their research, directing them to reliable websites. When some were overwhelmed by the amount of information, it also helped to talk through what was accurate and relevant. As the children’s biggest cheerleaders, many parents would turn up for the performances. Often, they would be surprised by how well their children could act. “No matter how many times they have performed, students will still feel nervous before a performance. Seeing their parents seated before them gives them the encouragement and moral support they need to give their best,” said Miss Suhana.